This will address consumer complaints about the battery life of their mobile phones. The Philips Xenium X312 has something interesting feature to offer and that is its battery which can last for up to a month. Philips Xenium X312 has a 2.2-inch TFT display with resolution of 320×240 pixels (QVGA), 2MP camera, FM radio with RDS and recording capabilities, music player, 5MB of integrated memory, a microSD card slot, miniUSB port, and Bluetooth 2.0 module. It supports GSM/GPRS/EDGE 900/1800/1900 MHz network. It has a dimension of 111×46.6×14.15 mm and weight 101g. This phone will be available in Russian market begin next month for price tag 3499 rubbles (around 5400 INR). Tags: Philips Xenium X312, Philips Xenium X312 review, Philips Xenium X312 multimedia features, Philips Xenium X312 features, Philips Xenium X312 details, Philips Xenium X312 specifications, Philips Xenium X312 information, Philips Xenium X312 images, Philips Xenium X312 pics, Philips Xenium X312 pictures, Philips Xenium X312 hardware features, Philips Xenium X312 application features, Philips Xenium X312 availability, Philips Xenium X312 price. The LG GW990 features a large TFT touch screen with 1024 x 480 pixels, which measures 4.8 inches. The screen resolution is 480 x 1024 pixels. The screen features S-Class user interface (a multi-window UI) and accelerometer sensor for automatic screen mode rotate. The LG GW990 is based on the Intel’s Moorestown platform. 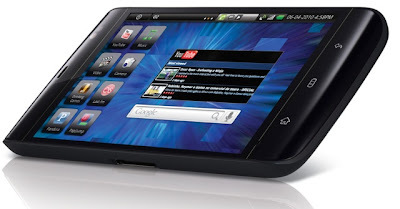 The OS is Moblin Linux which resembles the Android’s one very much and packs an 45nm Atom-core Pineview CPU. The LG GW990 runs 2G and 3G networks. For 2G network the phone covers the quad band GSM- 850/ 900/ 1800/ 1900. For 3G the phone is supportive to the dual band HSDPA 900/ 2100. Among the high-end features you can find HSDPA, Wi-Fi, Class 10 GPRS, GPS and Class 10 EDGE. In order to transfer data to or from other compatible device the LG GW990 offers USB and Bluetooth. 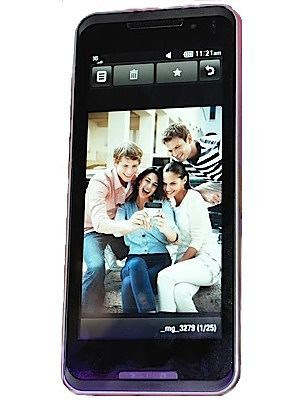 The camera of the LG GW990 is 5 megapixels with the resolution of 2592 x 1944 pixels. The features of the LG GW990’s camera offer a LED flash, geo tagging and auto focus. The video recording is available as there is a camcorder in the phone. There are video gallery and video editor features in the LG GW990 phone. The music player supports MP3, WMA, and eAAC+ music file formats. The video files that can be played on the video player of the device including MP4, H.264, and H.263. The messaging services of the LG GW990 offer text and multi-media messaging and e-mailing. The Predictive text input technology is also available. The inner memory of the LG GW990 offers 512 MB of RAM and there is an opportunity to enlarge the memory up to 16 GB using a flash. It also supports 3D gaming. The size of the phone compiles 146.8 mm x 64.2 mm x 12 mm. It comes with a 1850 mAh battery which will provide enough talk time and stand by time. The GW990 would be launched in the second half of 2010. Tags: LG GW990 , LG GW990 review, LG GW990 multimedia features, LG GW990 features, LG GW990 details, LG GW990 specifications, LG GW990 information, LG GW990 images, LG GW990 pics, LG GW990 pictures, LG GW990 hardware features, LG GW990 software features, LG GW990 application features, LG GW990 availability, LG GW990 price, 3G phones, 3G mobile phones. 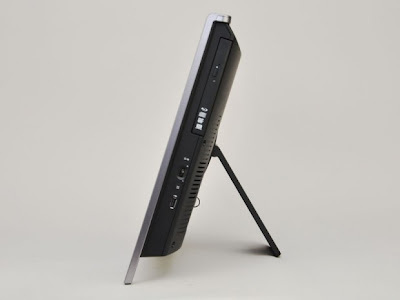 NEC has announced a 3D-ready all-in-one desktop PC in Japan, namely NEC Valuestar N VN790/BS. The 20-inch desktop has a 1,600 x 900 resolution with 2D/3D capable display, Blu-ray drive and a CPU from Intel’s mobile line-up. It comes with a pair of 3D glasses as well (one set is included; others are $67 a pop). The 3D-Ready AIO Desktop PC is powered by Intel’s 2010 Core processor, up to 8GB of memory, and up to 1TB hard drive. The new NEC AIO PC packs a Blu-ray drive and pre-loaded with Windows 7 Home Premium 64-bit OS. The NEC Valuestar N VN790/BS have brings I-O Data Digicam3D viewer, CyberLink PowerDVD 3D, DigitalVideo 3D player and a pair of 3W speakers.There’s also an integrated TV tuner and remote control. 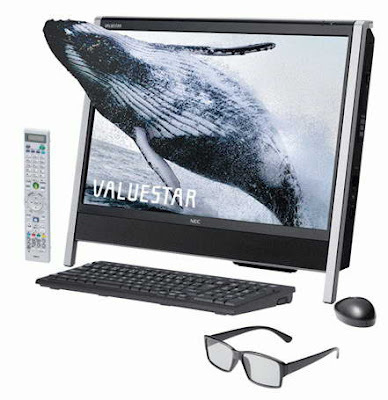 The NEC Valuestar N VN790/BS 3D-Ready all-in-one PC will be available for Japanese market in June 2010 with a price tag of 220,000 Yen or about $2,416(around 1,13,000 INR). Tags: NEC Valuestar N VN790/BS, NEC Valuestar N VN790/BS review, NEC Valuestar N VN790/BS features, NEC Valuestar N VN790/BS details, NEC Valuestar N VN790/BS specifications, NEC Valuestar N VN790/BS information, NEC Valuestar N VN790/BS images, NEC Valuestar N VN790/BS pics, NEC Valuestar N VN790/BS pictures, NEC Valuestar N VN790/BS hardware features, NEC Valuestar N VN790/BS availability, NEC Valuestar N VN790/BS price, 3D desktop, 3D pc, 3D Desktop PC. Packed with decent hardware, Samsung has unveiled two laptops and a netbook aimed for those small and home office folks who are looking for portable on-the-go computing solution. According to company the models have been designed specifically to operate in a secure business environment. The NB30 Pro netbook has been designed for "rugged durability" and is enhanced for business users with Windows 7 Professional. The model has a free-fall sensor to protect the hard drive, and the keyboard is water resistant if up to 50cc is spilled on it. Samsung claimed that this makes it a good choice for business travelers. The 10.1-inch Samsung NB30 Pro is powered with 1.66GHz Intel Pineview N450 processor. 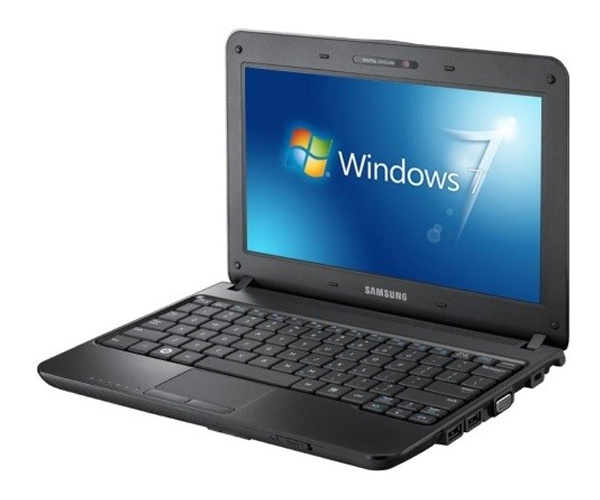 It provides 160GB HDD and 2GB DDR2 RAM. Furthermore, users will be able to take advantage of Wi-Fi(802.11 b/g/n) as well as 0.3 megapixel webcam. It is equipped with three USB 2.0 ports and HD Audio. 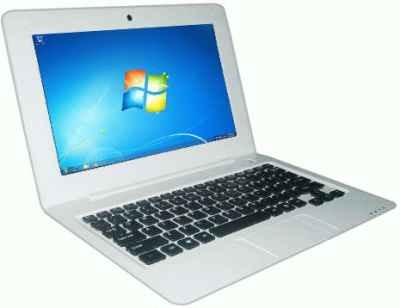 The device is based on the Windows 7 Professional operating system. The battery life of the notebook promises 6.5 hours. The P80 Premium series will have 14-inch P480 and 15.6-inch P580 notebooks. Both notebooks will be powered with 2.26GHz Intel Core i5-430M processor and offer up to 4GB DDR3 RAM, up to 320GB 5400RPM HDD,a single-click docking station. They integrate Intel GMA HD graphics and boast of 0.3 megapixel webcam and have Windows 7 professional edition operating systems. Both have a matte finish plus integrated microphone and webcam for video conferencing, and support for Bluetooth 2.1 +EDR connectivity. 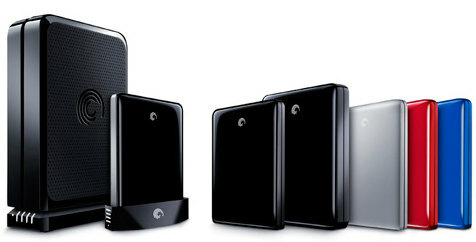 Apart from that it is possible to make use of Wi-Fi(802.11 b/g/n), pair of 1.5W speakers HD Audio, and also four ports. The P480 offers a battery life 4.3 hours while the battery life of P580 is 4.4 hours. The P30 Essential series comes with a scratch resistant chassis of 14-inch P430 and 15.6-inch P530 notebooks. Both models will be available with 2.13GHz Intel Core i3-330M processor. They will integrate Intel GMA HD graphics, as well as up to 250GB HDD along with 4GB DDR3 RAM and has Windows 7 professional edition operating systems. There is a 0.3 megapixel webcam, a pair of 1.5W speakers and three USB 2.0 ports. It also has Wi-Fi (802.11 b/g/n) and a touted 4.5 hour life on a six-cell battery. The P80 will be on sale for £686(around 40,000 INR), the P30 series will be available for £583(around 35,000 INR) and the NB30 Pro will cost £356(around 20,000 INR). All these models will be available in late May through Samsung retailers. Tags: Samsung NB30 Pro , Samsung NB30 Pro review, Samsung NB30 Pro features, Samsung NB30 Pro details, Samsung NB30 Pro specifications, Samsung NB30 Pro pics, Samsung NB30 Pro pictures, Samsung NB30 Pro hardware features, Samsung NB30 Pro availability, Samsung NB30 Pro price, Samsung P80, Samsung P80 review, Samsung P80 features, Samsung P80 details, Samsung P80 specifications, Samsung P80 pics, Samsung P80 pictures, Samsung P80 hardware features, Samsung P80 availability, Samsung P80 price, Samsung P30, Samsung P30 review, Samsung P30 features, Samsung P30 details, Samsung P30 specifications, Samsung P30 pics, Samsung P30 pictures, Samsung P30 hardware features, Samsung P30 availability, Samsung P30 price, business laptops, Samsung P480, Samsung P580,Samsung P430, Samsung P530. MSI has announced its latest product Multi-Touch 24" Full HD 3D All-in-One PC in Computex called Wind Top AE2420 3D. The 24-inch Wind Top AE2420 has a 120Hz refresh rate and, with the appropriate dorky glasses, can show 3D visuals in 1080p resolution. 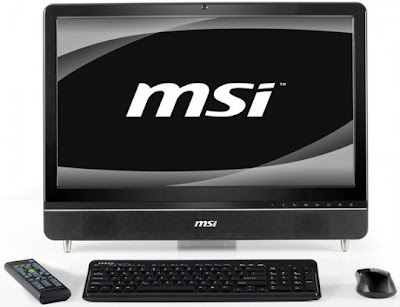 It comes with Intel Core i5/i7 CPU and an ATI Mobility Radeon HD series discrete GPU. It has a 120 Hz high scan frequency LED panel and 3D Infinity (Shutter Glasses) for 3D experience. 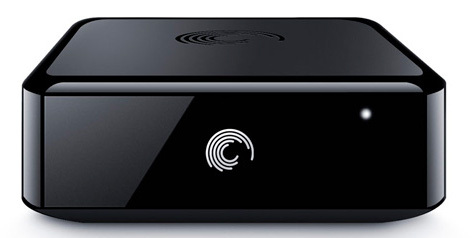 Wind Top AE2420 3D also integrates 2D to 3D transfer technology which makes the DVD rentals or home videos to be instantly transferred and viewed as 3D images. In GPU performance, it features the ATI Mobility Radeon HD5730 discrete graphics chip that supports Direct X 11. In audio and video specifications, the AE2420 3D features MSI Premium Sound Technology, full range 5W left and right channel hi-fi speakers, and a 10W subwoofer that creates authentic 2.1 channel sound. Through Hollywood grade THX TruStudio Pro surround sound technology, sound performance is enhanced to 7.1 surround sound for pure, clear tone quality, extreme sound layering, and powerful vibrations. No word on pricing and availability has been communicated,so be in touch. Tags: Wind Top AE2420 3D, Wind Top AE2420 3D review, Wind Top AE2420 3D multimedia features, Wind Top AE2420 3D features, Wind Top AE2420 3D details, Wind Top AE2420 3D specifications, Wind Top AE2420 3D information, Wind Top AE2420 3D images, Wind Top AE2420 3D pics, Wind Top AE2420 3D pictures, Wind Top AE2420 3D hardware features, Wind Top AE2420 3D software features, Wind Top AE2420 3D application features, Wind Top AE2420 3D availability, Wind Top AE2420 3D price,3D Desktop, 3D PC. In Computex 2010 (Taipei, Taiwan, June 1-5) Gigabyte Tech. is going to announce its new convertible notebook. 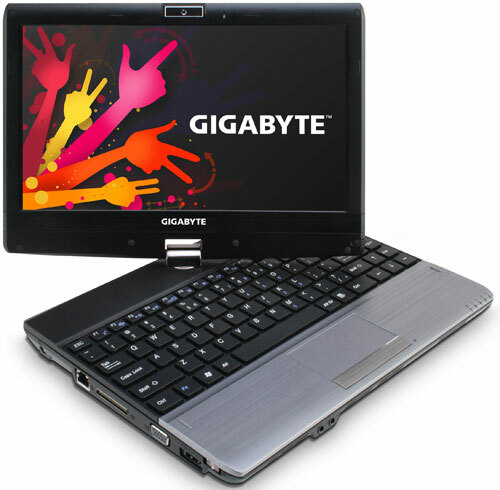 The new laptop Gigabyte M1125 is powered by the Core i-series line of processors with ultra low voltage (ULV). It comes with a 11.6-inch high resolution 1,366 x 768 pixel touchscreen display, USB 3.0 port, Ethernet, headphone jacks, an external microphone, and webcam. Gigabyte M1125 convertible notebook will come with USB 3.0 connectivity & has LAN and VGA ports. 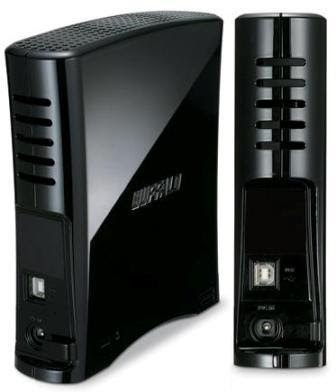 It is also equipped with a port for connecting an external docking station, which is supplied to an optical disc drive. Gigabyte M1125 laptop has a Chiclet keyboard. There is no more information regarding the pricing and availability, so be in touch. Tags: Gigabyte M1125, Gigabyte M1125 review, Gigabyte M1125 features, Gigabyte M1125 details, Gigabyte M1125 specifications, Gigabyte M1125 information, Gigabyte M1125 images, Gigabyte M1125 pics, Gigabyte M1125 pictures, Gigabyte M1125 hardware features, Gigabyte M1125 availability, Gigabyte M1125 price, convertible notebook, Core i-series notebook. 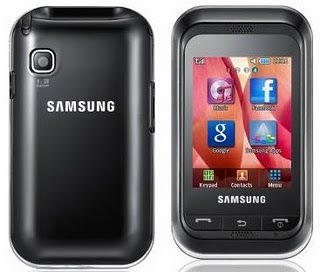 Samsung has released a full touch 3G-enabled mobile phone called the Star Nano 3G (S3370) in India. It’s a cheapest 3G ready touch screen device in India. The company is targeting the Indian youths. It has a compact and curvilinear design which is attractive to look at and functional to carry. Samsung Star Nano 3G comes loaded with an array of features. The phones sport a 2.6 inch QVGA resistive touch screen with video playback facility. It comes with a 1.3 MP camera with video recording facility. The handset has 35MB of internal memory which can be expandable up to 16 GB via microSD card. The large screen and the four page menu provides a great resolution with a sense of contentment. 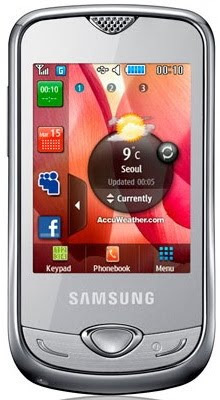 The phone features Samsung's TouchWiz UI, MP3 player,English dictionary, access to Samsung Apps. It also comes with a host of social networking apps including like GTalk, AIM and Palringo Chat. The other features of Star Nano 3G are of course its 3G connectivity that makes video streaming much faster, better sound quality, faster download speed and a faster internet browsing. This handset is a complete entertainment package with the following features. Samsung Star Nano 3G supports an advanced SNS 2.0 for social networking fans so that social communication is made simpler through social networking sites such as Facebook, YouTube and MySpace. 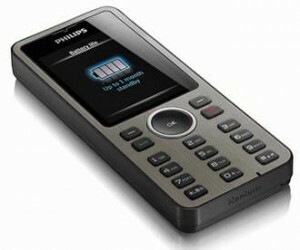 The phone also features Pop Up SNS, Bluetooth, Java IM, mobile tracker and FM radio. It is preloaded with Touchwiz user interface 2.0. The new Samsung Star Nano 3G's easy 26 Java download apps enables its users download games like Vocabite, Sudoku, Rocketalk and Shorthand. The phone is capable of storing up to 2000 contacts in its phonebook memory and 800 SMSs. An active Sync Push email service and sync calendar is also offered by Samsung. The Samsung Star Nano 3G now available in India with a leather pouch, a stylus and a 2GB memory card and has a comparatively low price tag of Rs. 7,320. Tags: Samsung Star Nano 3G, Samsung Star Nano 3G review, Samsung Star Nano 3G multimedia features, Samsung Star Nano 3G features, Samsung Star Nano 3G details, Samsung Star Nano 3G specifications, Samsung Star Nano 3G information, Samsung Star Nano 3G images, Samsung Star Nano 3G pics, Samsung Star Nano 3G pictures, Samsung Star Nano 3G hardware features, Samsung Star Nano 3G software features, Samsung Star Nano 3G application features, Samsung Star Nano 3G availability, Samsung Star Nano 3G price, 3G phone,3G mobiles,3G mobile phones,full touch screen phone, full touch screen mobile, full touch screen mobile phones, Samsung s3370. Mi-Fone has announced the launch of three new QWERTY keyboard laden phones under the Mi-Q - brand.he three models announced include the Mi-Q+, Mi-Q1 and Mi-Q5. For all these phones the screen is a 2.2-inch, 65k colour screen with a resolution of 220x176. They come with a basic camera at the back as well and has a 1000Mah battery that provides 5-hour talk time & a standby time of 360 hours. The Mi-Q+ comes loaded with GPRS Class 10, WAP 2.0, MMS, FM radio, a torchlight and the Qwerty keypad for faster SMS and has a price tag of Rs. 2,500. 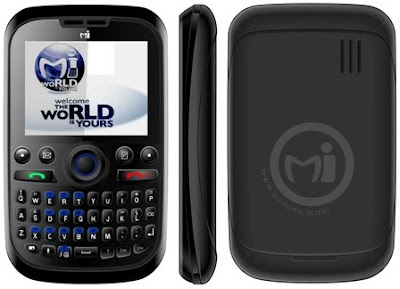 The Mi-Q1 which boasts of GPRS/WAP/MMS and MP3/Video capabilities with a memory capacity of up to 1GB. The phone also has a QWERTY keypad and has a price tag of Rs. 3,399. The Mi-Q5 is the top phone int the rang and has additional features including Bluetooth, support for Java applications, push email and social apps such as Facebook, MSN, etc. It can also take a memory card giving it greater capacity. There is also an option to watch analogue television using the device and has a price tag of Rs.3,999. Other common facilities like they support email, Instant Messaging, Uploading and Downloading of documents, have same dimensions. The Mi-Fone range of handsets is available from Home Shop 18 Networks and Aditya Birla Stores. Tags: Mi-Fone, Mi-Fone review, Mi-Fone features, Mi-Fone details, Mi-Fone specifications, Mi-Fone information, Mi-Fone images, Mi-Fone pics, Mi-Fone pictures, Mi-Fone hardware features, Mi-Fone application features, Mi-Fone availability, Mi-Fone price,Mi-Q+, Mi-Q1, Mi-Q5. Tags:CBSE TENTH results, CBSE TENTH,2010 CBSE TENTH results,2010 CBSE TENTH, CBSE TENTH results 2010 , CBSE results 2010, Candidate wise CBSE TENTH RESULTS 2010, school wise CBSE TENTH results, school wise CBSE TENTH RESULTS, 2010 CBSE results,2010 CBSE results, CBSE results 2010 ,CBSE results 2010, Candidate wise CBSE results 2010, school wise CBSE results, school wise CBSE results, CBSE CLASS 10 results, CLASS 10 results,2010 CBSE CLASS 10 results,2010 CLASS 10 results, CBSE CLASS 10 results 2010 ,CLASS 10 results 2010, Candidate wise CLASS 10 results 2010, school wise CLASS 10 results, school wise CLASS 10 results CBSE. Blackberry Bold 9700 has been launched in India with improved features and specifications over Blackberry 9000.Blackberry 9700 features a 2.44" transmissive TFT display (at 480×360),a standard full QWERTY keyboard, 3.2 MP camera with 2x zoom and video. 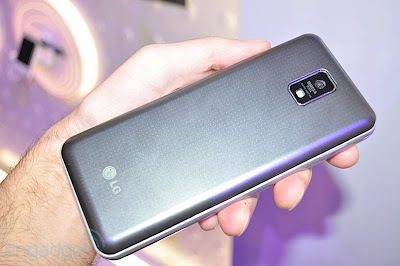 It also has the auto-focus capability for the camera, GPS, WiFi, stereo Bluetooth, supporting 3G HSDPA networks gloablly, 256 MB on-board flash memory, microSD expansion to 32GB and is also equipped with high-performance 624 MHz processor. The new phone is 3G enabled and has got very high level of connectivity also.The handset delivers high-rate performance and facilitates easy functionality with the full-QWERTY keyboard and touch-sensitive trackpads. The display of the phone is very good as the screen has got very high resolution and can support 65,000 colors. In its track pad the navigation users will be able to move across menu items with the movement of the fingers. The handset also has media player to let the user enjoy their favourite music through its 3.5 mm stereo headset jack. In its multimedia features, the mobile handset allows to sync music files in the handset with user’s PC or laptop files.The Bold 9700 has a battery life of 6 hours talk time and stand by time of 21 days. Blackberry Bold 9700 weighs only 120 gms making it much attractive for usage.The smartphone is available in white color and has attractive look. 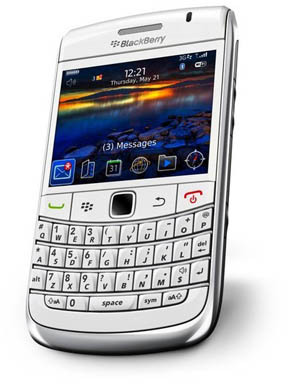 Research In Motion (RIM) has brought Blackberry Bold 9700 at price of Rs. 31,900 in Indian market. Tags: Blackberry Bold 9700, Blackberry Bold 9700 review, Blackberry Bold 9700 multimedia features, Blackberry Bold 9700 features, Blackberry Bold 9700 details, Blackberry Bold 9700 specifications, Blackberry Bold 9700 information, Blackberry Bold 9700 images, Blackberry Bold 9700 pics, Blackberry Bold 9700 pictures, Blackberry Bold 9700 hardware features, Blackberry Bold 9700 software features, Blackberry Bold 9700 application features, Blackberry Bold 9700 availability, Blackberry Bold 9700 price. Seagate announced the World’s Fastest Momentus XT Solid State Hybrid 2.5-inch laptop PC hard drive with combining SSD-like performance.The Momentus XT is a 7200-rpm serial ATA (SATA) hard-disk drive combined with 4GB of SSD capacity and 32MB of DDR3 cache memory. Seagate claims the Momentus XT is 80 percent faster than traditional 7200-RPM drives. The Momentus XT works on PCs and Macs. Seagate Momentus XT delivers impressive performance at a low price.The drive features with Adaptive Memory technology that learns and optimizes the drive’s performance to each user by moving frequently used information into the flash memory for faster access. 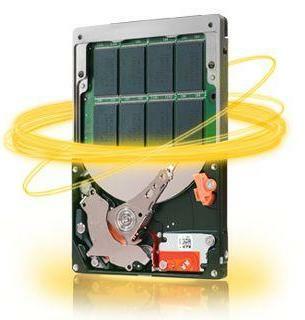 According to Seagate, the Momentus XT solid state hybrid drive boots up to 100 percent faster than traditional 5400RPM drives. ASUS has also announced that it will offer the Momentus XT drive as an upgrade option for its new Republic of Gamers (ROG) G73Jh notebook. Seagate Momentus XT Solid State Hybrid Drives will be available in 250 GB (ST92505610AS) at a price tag of $113, 320 GB (ST93205620AS) at a price tag of $122 and 500 GB (ST95005620AS) at a price tag of $156 with Seagate 5-year Limited Warranty. Tags: Seagate Momentus XT, Seagate Momentus XT review, Seagate Momentus XT features, Seagate Momentus XT details, Seagate Momentus XT specifications, Seagate Momentus XT information, Seagate Momentus XT images, Seagate Momentus XT pics, Seagate Momentus XT pictures, Seagate Momentus XT hardware features, Seagate Momentus XT software features, Seagate Momentus XT application features, Seagate Momentus XT availability, Seagate Momentus XT price,ssd,250GB, 320GB, 500GB. The DriveStation DataVault HD-CXTU2 series support USB 2.0 technology. The hard drive features an integrated hardware AES 256-bit Full Disk Encryption (FDE) encryption chip that offers optional full disk encryption for security against unauthorized access. The TurboCopy tool enhances the performance of the system.The Drive station is committed to delivering 165 percent faster transfer speed with Turbo PC software by using High speed RAM in the PCs. The series also come packed with the Buffalo's Backup Utility for easy access to backup data,the simple plug and Play options, ECO Manager for conservation of energy, RAMDISK utility to create a RAM disk on Windows and SecureLock software for security. The DriveStation HD-CXTU2 also includes Buffalo Tools, a feature rich suite of tools designed to enhance PC performance.Eco manager for windows PCs regulates power usage, conserving energy& batter consumption.Buffalo’s backup utility automatically back up your PCs, protecting your data. The company is offering 3 year warranty with the hard drives in the series. The drives are available for sale across the country. Drive Station 1 TB (HDCXT10TU2) for an MRP of Rs. 13,500. Drive Station 1.5 TB (HDCXT15TU2) for an MRP Rs. 20,000. Drive Station 2 TB (HDCXT15TU2) for an MRP Rs. 27,000. Tags: DriveStation DataVault HD-CXTU2, DriveStation DataVault HD-CXTU2 review, DriveStation DataVault HD-CXTU2 features, DriveStation DataVault HD-CXTU2 details, DriveStation DataVault HD-CXTU2 specifications, DriveStation DataVault HD-CXTU2 information, DriveStation DataVault HD-CXTU2 images, DriveStation DataVault HD-CXTU2 pics, DriveStation DataVault HD-CXTU2 pictures, DriveStation DataVault HD-CXTU2 hardware features, DriveStation DataVault HD-CXTU2 software features, DriveStation DataVault HD-CXTU2 application features, DriveStation DataVault HD-CXTU2 availability, DriveStation DataVault HD-CXTU2 price, Buffalo. According to top-level management from Dell the Dell Streak tablet hits the sweet spot between traditional smart phones and larger-screen tablets. Its unique size provides people new ways to enjoy, connect, and navigate their lives. It also provides people the best “on-the-go” entertainment, social connection, and navigation experience. The Dell Streak will have a 5-inch WVGA touchscreen and it is powered by Google Android operating system, Qualcomm’s 1-GHz Snapdragon Processor, 2 GB internal storage, maximum 32GB of external SD storage, 5 megapixel camera with dual LED flash. The Streak will also have 3G, 802.11b/g Wi-Fi, and Bluetooth 2.1 connectivity. The device will support over-the-air updates including platform upgrades, Adobe Flash 10.1 on Android 2.2 later this year, video chat applications and other software innovations. It has a VGA front-facing camera enables video chat functionality down the road. The Streak will launch first to customers in the United Kingdom in early June. Customers there will be able to purchase it across the UK at O2 stores, O2.co.uk, The Carphone Warehouse and later this month on Dell.co.uk The pricing plans are not yet announce by Dell. Also Dell plans to make Streak available in the U.S later this summer. Micro SD card makes memory expandable up to 32 GB. Dell not yet released the pricing of this tablet, but the device will be definitely cheaper than the Apple iPad and it is rumored to be around $500. Tags: Dell Streak tablet , Dell Streak tablet review, Dell Streak tablet multimedia features, Dell Streak tablet features, Dell Streak tablet details, Dell Streak tablet specifications, Dell Streak tablet information, Dell Streak tablet images, Dell Streak tablet pics, Dell Streak tablet pictures, Dell Streak tablet hardware features, Dell Streak tablet software features, Dell Streak tablet application features, Dell Streak tablet availability, Dell Streak tablet price, Tablet from Dell. Strontium has launched a new range of USB flash drives: Key, Spin and Hulk. All three USB series are compatible with USB 2.0 Technology with the data transfer rate of up to 480MB/sec, and are available in capacities ranging from 2GB to a whopping 128GB. All three USB flash drive series are compatible with Windows, Mac, and Linux operating systems. The flash drives are priced most affordably, and are available with 5 years limited warranty. Both Spin and Hulk has inbuilt password protected access control. Key series is stylish, fingertip sized USB with colorful designs that will catch everybody’s attention. It is available in 2GB at Rs. 349and 4 GB at Rs. 499 and in black and white color. It has a dimension of 23.85mm (H) X 14.5mm (W) X 6.8mm (D). Spin series exhibits a jazzy look & is available in 4GB, 8GB and 16 GB capacity with a price tag of 549, 999, and 1,999 respectively. It protects onboard digital content with password protected access control. 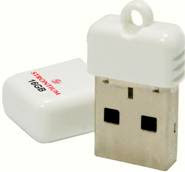 Available in red, black, blue and gold color, this light weight USB features compact design, high performance and fast data transfer. It has a dimension of 29.8mm (H) X 12mm (W) X 5.5mm (D). Hulk series is a pocket size power house with 128 GB capacity and is priced at Rs. 19,999. It provides business persons with more space to store more data and files and at the same time experience the highest performance and fastest data transfer. Hulk series comes with encryption to protect the data stored. It is available in silver color. It has a dimension of 71.4mm (H) X 27mm (W) X 9.3mm (D). Tags: Strontium flash drives, Strontium USB flash drives, 4GB flash drives, 8GB flash drives, 16 GB flash drives, 128 GB flash drives, 4GB USB flash drives, 8GB USB flash drives, 16 GB USB flash drives, 128 GB USB flash drives, Key, Spin, Hulk, 2 GB flash drives, 2GB USB flash drives. 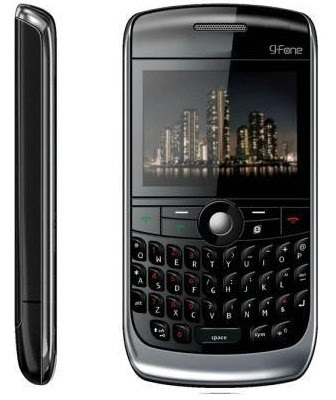 G-Fone has launched its latest dual SIM handset in India, the G-Fone 571. 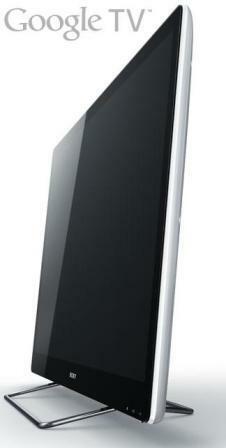 It is a sleek bar phone with metallic body and has features of a high end phone. The G-Fone 571 boasts of a 2.2 inch landscape QVGA display with a 64K screen and QWERTY key board. It boasts of a 208 MHz processor that should be fast enough to display and playback various multimedia content. It supports MP4 video playback and has an FM radio packed in as well. There is a pretty basic 1.3 megapixel camera with flashlight. It also doubles up as the video recorder. The phone surprisingly comes with a motion sensor. The 571 is quite social networking friendly. The phone comes with Snaptu and Nimbuzz preloaded. The phone is GPRS capable and has Bluetooth, MP3 ringtones, music player and stereo. The G Fone 571 offers to its Indian buyers are mobile tracker, Long distance control, Indian calendar, web cam, motion sensor, EDGE connect, Build in Modem and Opera mini. The phone also has an expandable memory of up to 8 GB using microSD card. Other features include PC sync, support for Java apps. The mobile can hold up to 3000 phonebook contacts and 1000 SMSs. With PC suite you can easily transfer data between your phone and your computer. The phone also provides an anti-theft feature. The battery of the phone offers 5 hours of talk time with 240 hours of stand by time. The handset will be available in 3 color variants - Black, White and Red and is said to be priced at Rs 3999 and available all over India. Tags: G-Fone 571 , G-Fone 571 review, G-Fone 571 multimedia features, G-Fone 571 features, G-Fone 571 details, G-Fone 571 specifications, G-Fone 571 information, G-Fone 571 images, G-Fone 571 pics, G-Fone 571 pictures, G-Fone 571 hardware features, G-Fone 571 software features, G-Fone 571 application features, G-Fone 571 availability, G-Fone 571 price. 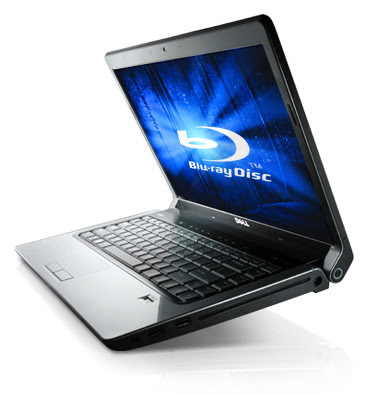 The base model is the 8943G-434G32Mn that comes with an Intel Core i5-430M (2 x 2.26 GHz), an ATI Radeon HD 5650, 4 GB of DDR3-RAM, a 320 GB, 5,400 rpm hard drive and a DVD burner. It is priced around €1,000. The 8943G-724G1TBn model is equipped with a Core i7-720QM (4 x 1.60 GHz), a Radeon HD 5850 (but sadly only DDR3-VRAM), 4 GB of memory, two HDDs (each with 500 GB), and a Blu-Ray player (which burns CDs and DVDs). It is priced around €1,400. The 8943G-728G1.28TWn model has the same processor and graphics card for the other two, the hard drive capacity goes from 1,000 to 1,280 GB, while the memory doubles from 4 to 8 GB. A Blu-Ray burner is also there. ). It is priced around €1,600. All the models comes with a glossy, 18.4-inch display with FullHD resolution (1920 x 1080). It has an aspect ratio of 16:9. With a diagonal length of 46.74 cm, the screen is a tremendous size.Windows 7 Home Premium 64-bit is also the operating system on all three. The Aspire 8943G's design has the look which is dominated by matt, silvery aluminium surfaces. This gives it a high-class look and also makes it more resistant to dirt and smudges. It has a large loudspeaker that grilles above the keyboard or the matt black palm rest. The Aspire 8943G's has on the left side there are three audio ports, a FireWire and USB 2.0 port as well as an eSATA/USB 2.0 combo port. 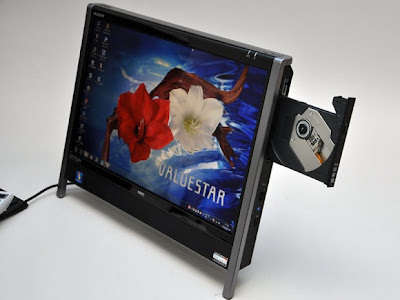 This is followed by HDMI and VGA ports, allowing you to connect to external monitors. The right-hand side has three more USB 2.0 port. Near the back is the RJ-45 gigabit LAN and the power socket. On the front edge of the notebook is a card reader and also an infrared receiver for a remote control. 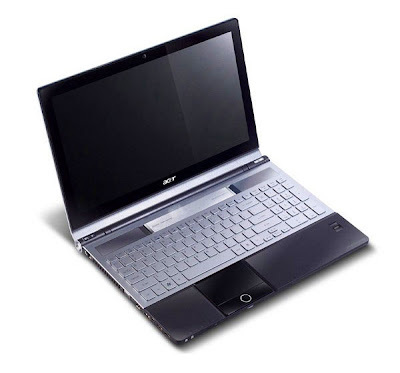 As for wireless connectivity, there is no cause for complaint as Acer has included both WLAN and Bluetooth. 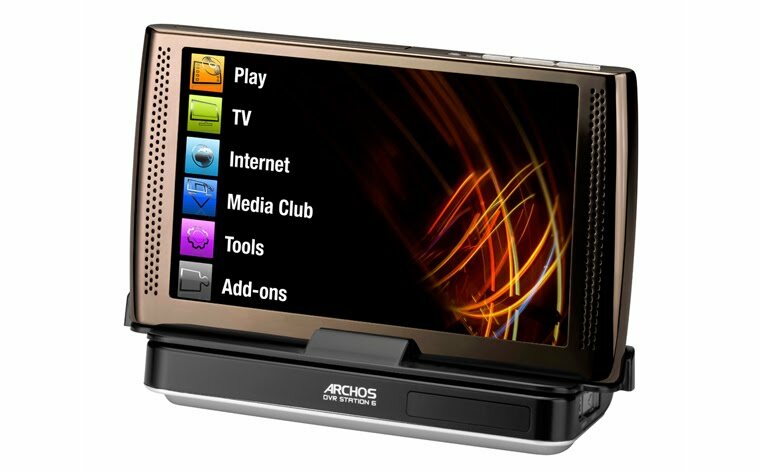 Aspire 8943G has a remote control which makes it easier to watch films. The keyboard has free-standing (chiclet-style) keys, good tactile feedback and firm point of impact. You can feel the separate number pad flexing even under a normal amount of pressure; and while the keys are a good size for the most part. The touchpad has a high-gloss but somehow stickier surface. The touchpad is a good size; it also supports multi-touch gestures and can be deactivated at will.It has an Idle case Battery runtime of about 4h 06min. Tags: Acer Aspire 8943G, Acer Aspire 8943G review, Acer Aspire 8943G multimedia features, Acer Aspire 8943G features, Acer Aspire 8943G details, Acer Aspire 8943G specifications, Acer Aspire 8943G information, Acer Aspire 8943G images, Acer Aspire 8943G pics, Acer Aspire 8943G pictures, Acer Aspire 8943G hardware features, Acer Aspire 8943G software features, Acer Aspire 8943G application features, Acer Aspire 8943G availability, Acer Aspire 8943G price, Acer Aspire 8943G-724G1TBn, Acer Aspire 8943G-724G1TBn, Acer Aspire 8943G-728G1.28TWn. Handset maker Spice Mobiles today announced the launch of its new video phone S-7000 in India. The phone comes with a glossy luminous appeal making it look more graceful and attractive. The standalone feature that makes this phone different from others is its superior resolution and incredible picture quality and sharpness. The S-7000 handset has a 3.2-inch WQVGA full touchscreen display that comes with 1280 X 720 pixel resolution and an aspect ratio of 16:9. With the Bluetooth technology you can easily share images, music and lot more while talking. Its 3.2 MP camera lets you record your videos and also use it as a web cam while chatting. 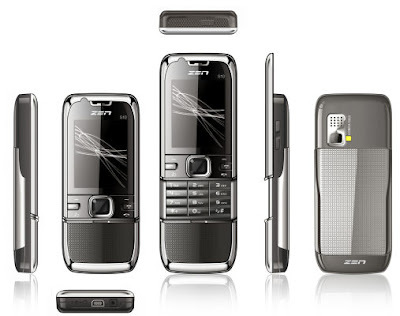 The S7000 comes with 19MB of internal memory which can be expanded up to 16GB with the help of a T-Flash memory card. The phone is capable of video recording at 15fps. The phone supports an array of video formats that includes RMVB, FLV, WMV, AVI, MP4, 3GP, MOV, DAT and RM. It supports 720P videos as well. Other features include Zi predictive text, 1000 SMS memory, email facility, JAVA, incoming call guard, FM radio, Bluetooth v2.0. The phone can be used as a webcam as well. The phone is also social networking ready and comes preinstalled with Yahoo, Wapedia to read more than 10 million articles on various topics, VuClip to watch online videos and pre-loaded Social Networking applications like Facebook, Nimbuzz, Reuters, Ibibo, OperaMini and Snaptu applications. The phone comes equipped with exclusive content like Prince of Persia themes, wallpapers, screensavers and ringtones. The S-7000 has an 880 mAh battery offering up to 3.5 hrs of talk time and up to 220 hours of standby time. It is available only in white color.Priced at Rs 7, 499, the S-7000 handset will be available across all the leading outlets in India. Tags: Spice S-7000, Spice S-7000 review, Spice S-7000 multimedia features, Spice S-7000 features, Spice S-7000 details, Spice S-7000 specifications, Spice S-7000 information, Spice S-7000 images, Spice S-7000 pics, Spice S-7000 pictures, Spice S-7000 hardware features, Spice S-7000 software features, Spice S-7000 application features, Spice S-7000 availability, Spice S-7000 price. Sony Corporation today announced the launch of “Sony Internet TV,” the world’s first TV to be based on the “Google TV” platform announced by Google Inc. “Sony Internet TV” is based on Android-based open Google TV platform. “Sony Internet TV” is scheduled to first launch in the U.S. in the fall of 2010. With “Sony Internet TV” consumers will be able to search and access content from their TVs and across the Internet – a rich Internet experience on consumers’ TVs.“Sony Internet TV” features both a standalone TV model and set top box-type unit incorporating a Blu-ray Disc drive. Sony Internet TV ” combines the future growth potential and accessibility of the Android-based open Google TV platform. Sony has proceeded to develop an “Evolving” TV that delivers new viewing styles exceeding conventional preconceptions, expandability through application downloads and other compelling features such as seamless operability and multitasking. “Sony Internet TV” realizes this vision, and is a new generation of TV that not only offers new forms of TV enjoyment through unprecedented Internet integration, but is also able to “evolve” through the download of applications. By leveraging the flexibility and growth potential of Google TV platform, Sony will be able to provide consumers with easy access to a range of rich and attractive content. As the range of new internet content and services continues to grow and diversify, Sony’s development of an “Evolving” TV will enable it to deliver this world of internet-based entertainment directly into consumers’ living rooms. Furthermore, Sony will continue to apply its wealth of display technology expertise to create ever more compelling and attractive TV products. Stay in touch we will keep you informed when further details are out. Tags: Sony Internet TV, Sony Internet TV review, Sony Internet TV features, Sony Internet TV details, Sony Internet TV specifications, Sony Internet TV information, Sony Internet TV images, Sony Internet TV pics, Sony Internet TV pictures, Sony Internet TV application features, Sony Internet TV availability. Handset maker Spice Mobiles today announced the launch of its new video phone S-7000 in India. The S-7000 handset has a 3.2-inch full touchscreen for wide screen viewing, digital surround sound and multiple format video player.It plays videos in most of the popular formats. It also has a 3.2 megapixel camera, bluetooth, expandable memory of 16 GB. Apart from these the S-7000 comes with a Mobile Modem & EDGE support for instant access to internet, Wapedia to read more than 10 million articles on various topics, Vuclip to watch online videos and pre-loaded Social Networking applications like Facebook and Nimbuzz. The phone comes equipped with exclusive content like Prince of Persia themes, wallpapers and screensavers. Priced at Rs 7,499,the S-7000 handset will be available across all the leading outlets in India. Zen S10 is the first multimedia stylish and multi-faceted slider phone from Zen mobiles India.It has very good metallic body.The handset is equipped with a 2GB memory card.The phone is the fist multimedia phone in the country with a metallic body & is claimed to be stylish and has multi-faceted features. Zen S10 has a 2.2 inch TFT QVGA screen, full MP3 and MP4 playback support and comes with a 2GB memory card & can be expanded to 4GB. The handset looks easy to use and carry, sleek and comes in metallic body. It also has a 2 MP camera with Flash and video recording. The slider phone supports Bluetooth and FM radio. Zen S10 is a dual SIM mobile phone supports both GSM SIM cards. Zen Mobile S10 is now available every where in India with a price tag of Rs.4,999. Tags: Zen S10, Zen S10 review, Zen S10 multimedia features, Zen S10 features, Zen S10 details, Zen S10 specifications, Zen S10 information, Zen S10 images, Zen S10 pics, Zen S10 pictures, Zen S10 hardware features, Zen S10 software features, Zen S10 application features, Zen S10 availability, Zen S10 price, slider phone, dual sim phone. 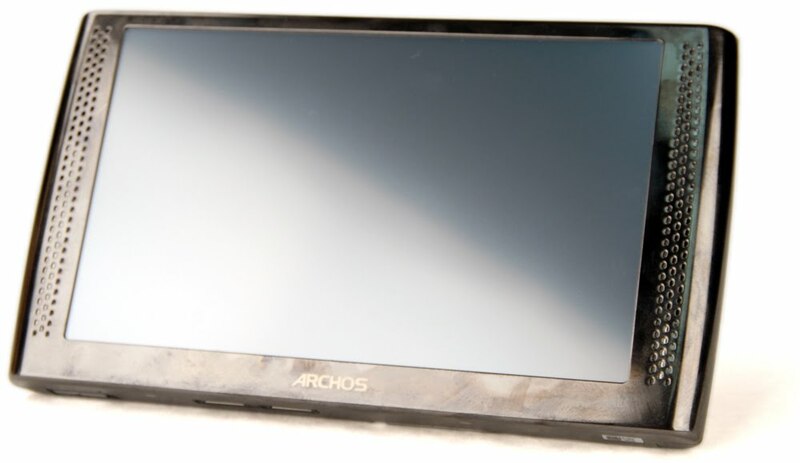 The 7-inch tablet/MID sports a resistive 800 x 480 WVGA display, and should run the Android 1.5platform.The single-touch screen is responsive for a resistive tablet and accurately responds to finger touches.The Archos 7's is powered with a600MHz ARM 9 processor and 128 MB of RAM. The tablet packs 8GB of space, but the Micro SD slot supports up to 32GB cards. it weighs less than a pound 13.7 ounces. It's actually closer in size and weight to the 10.2-ounce and .36-inch Amazon Kindle. The speakers flanking the display are actually quite loud. Archos preloads five apps – eBuddy, Aldiko, ColorNote, DailyNote, and Deeze. There's no Gmail, YouTube and other applications like eesmic, Slacker, Pandora,Facebook are missing. It has a power switch and micro SD card slot along the top edge, and headphone / composite video out and mini USB sockets on the right side. There's a circular opening on the front of the tablet that's just a placeholder. In the box, Archos includes a pair of pretty crappy earbuds, a standard mini USB to USB cable, and an AC adapter. The 7 doesn't have an accelerometer, and even worse not a software utility or hardware switch for switching the orientation of the screen. 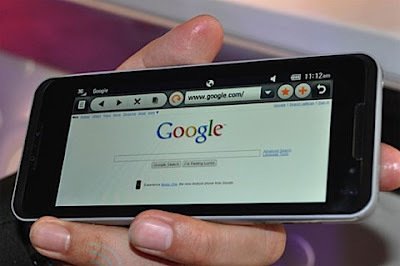 The default browser was quick to load sites and was easy enough to navigate using the resistive touchscreen. The browser itself was sluggish and videos were quite laggy even when connected to a very strong WiFi signal. 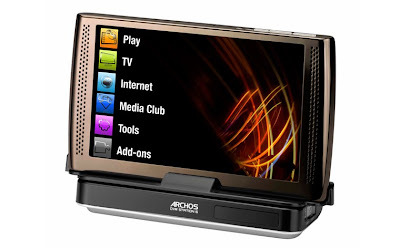 Speaking of video playback, as a personal media player the Archos 7 does a stand-up job. With H.264, Realvideo, and MPEG-4 codecs it supports .avi, .mp4, .mkv, .mov, and .flv files. A 720p clip played back smoothly with no audio or video sync issues. It has a resistive touchscreen and is 0.5-inches thick, lacks an accelerometer, and doesn't have access to the Android Market.Most apps take four to five seconds to open, but moving through menus isn't sluggish.The operating system supports running multiple applications and processes in the background. It has a brushed metal cover that’s comfortable and a sturdy plastic frame. The 7-inch size fits nicely in your hands and its light weight (13.7 oz.) makes it easy to read, hold and use for long periods of time. Stern even compares the feel and use of it to the Kindle more than the iPad. The matte display is nice for viewing and the speakers are more than capable of producing a nice, full sound. Internet browsing is fast and the battery life lasts almost 7 hours while playing video. Archos 7 Home Tablet costs $199. 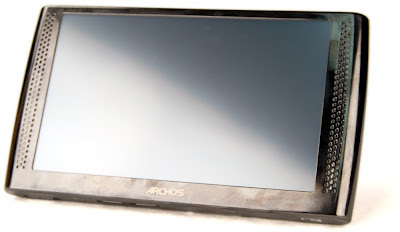 Tags: Archos 7 Home Tablet, Archos 7 Home Tablet review, Archos 7 Home Tablet multimedia features, Archos 7 Home Tablet features, Archos 7 Home Tablet details, Archos 7 Home Tablet specifications, Archos 7 Home Tablet information, Archos 7 Home Tablet images, Archos 7 Home Tablet pics, Archos 7 Home Tablet pictures, Archos 7 Home Tablet hardware features, Archos 7 Home Tablet software features, Archos 7 Home Tablet application features, Archos 7 Home Tablet availability, Archos 7 Home Tablet price. Dell Studio 1557 is a notebook with an option for Pentium Dual-Core, Core 2 Duo or respectively the high-performance Core i7 chips from Intel. 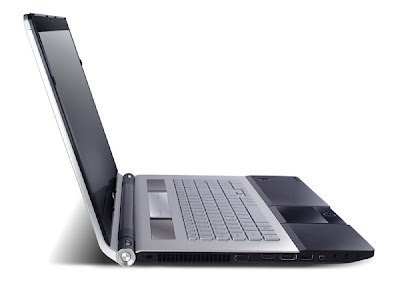 The entry-level configuration was around 479 Euro (plus delivery), equipped with an Intel T4300 CPU (2.1 GHz) and integrated Intel GMA 4500M HD graphics chip. The new Studio 1558 is equipped with a combination of the brand-new Intel Core i5 520M CPU and the just-as-new CPU-integrated Intel GMA HD graphics solution. It had a blue display lid ("Midnight Blue micro-satin surface). We have option to customize the case (display lid).The connections are limited to the sides of the case. The front and rear of the notebook remain free from interfaces. The Studio 1558 sports 3 USB ports, HDMI, eSATA and Firewire ports. The location of the Expresscard Slot is just over the card reader. The touchpad is embedded in the wrist rest area making it almost flush and it offers pleasant gliding qualities with good reaction behavior. A soft gap towards the outer edges characterizes the input device and facilitates navigation. The new Dell Studio 1558 laptop price in India will be around Rs.59,000. Tags: Dell Studio 1558 , Dell Studio 1558 review, Dell Studio 1558 multimedia features, Dell Studio 1558 features, Dell Studio 1558 details, Dell Studio 1558 specifications, Dell Studio 1558 information, Dell Studio 1558 images, Dell Studio 1558 pics, Dell Studio 1558 pictures, Dell Studio 1558 hardware features, Dell Studio 1558 software features, Dell Studio 1558 application features, Dell Studio 1558 availability, Dell Studio 1558 price. Wynn Telecom Limited has come up with a sizzling range of high quality cheap handsets which were launched in Indian mobile arena at an event in Mumbai yesterday. The seven mobile phones launched by Wynncom are dual SIM mobile phones that come with an array of features. The Wynncom series dual SIM phones includes large LCD display, high quality wireless FM, built in camera, powerful battery offering users long talk & stand by time etc. Other features of the gadgets include expandable memory of up to 8GB, Bluetooth and torch light .With the combination of multimedia and QWERTY, it is a perfect phone. Due to its stylish design and pocket friendly size, high efficiency battery, amazing looks and compatibility with multiple languages this affordable price range phone will surely a big hit in the Indian markets. Wynncom Y10 is a bar phone black in color with a 128 x 128 pixels display and comes with an FM radio, games and ringtone choices. Wynncom Y 11 is again a bar phone in black color with a 1.8 inch 128 x 160 pixels display that comes with a GPRS connectivity and MP3 player. The phone also has FM radio with Schedule recording feature and offers games and ring tones too. 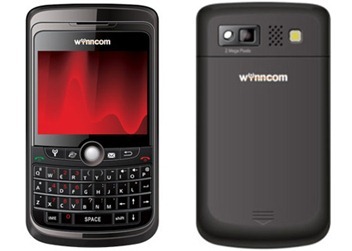 Wynncom Y20 bar phone comes with a 0.3 MP camera and 640 x 480 pixels VGA together with video capture feature. It also has a 3.5mm audio jack, MP 3 player, FM radio with recording and comes in black and red colors. Wynncom Y21 is a black bar phone with a 128 x 128 pixels resolution display and FM radio with recording. The phone also offers a choice of ringtone and gaming features with MP 3 player without a camera. Wynncom Y 22 comes with 128 x 160 pixels 1.8 inch display with GPRS connectivity, MP3 player and FM radio with schedule recording and telescopic antenna. The phone comes with video capture feature also. Wynncom Y30 bar phone boasts of a bigger 2.2 inch display with 2 MP camera with 1600 x 1200 pixels resolution. Available in black and red colors the phone has video capture, Bluetooth with A2DP, GPRS, WAP, MP3 player and FM radio. Wynncom Y50 is a QWERTY handset with a 2.4 inch display with 2 MP camera with a resolution of 1600 x 1200 pixels, digital zoom and flash. It has EDGE, MP3 player, trackball, FM radio, Bluetooth with A2DP and Java support. It also comes with AIO messenger, social networking and multimedia apps. These handsets are currently priced in the range of Rs. 1,500 to Rs. 5,000 and available every where in India. Tags: Wynncom Y series, Wynncom Y series review, Wynncom Y series multimedia features, Wynncom Y series features, Wynncom Y series details, Wynncom Y series specifications, Wynncom Y series information, Wynncom Y series images, Wynncom Y series pics, Wynncom Y series pictures, Wynncom Y series hardware features, Wynncom Y series software features, Wynncom Y series application features, Wynncom Y series availability, Wynncom Y series price, dual SIM, Wynn Telecom Limited, Wynncom Y 10, Wynncom Y 11, Wynncom Y 20, Wynncom Y 21, Wynncom Y 22, Wynncom Y 30, Wynncom Y 50, Wynncom Y10, Wynncom Y11, Wynncom Y20, Wynncom Y21, Wynncom Y22, Wynncom Y30, Wynncom Y50. 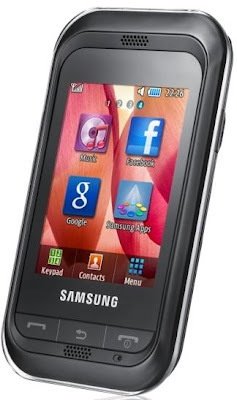 Samsung Mobiles have announced their affordable touch screen mobile phone, Samsung C3300K Champ. Samsung C3300K field takes the form of Corby and even simpler. Samsung Champ comes with 2.4 inch QVGA Touchscreen display,3D Sound effects,1.3 MP Camera and much more. TouchWiz phone Works Lite, which features a home screen with widgets arranged in a 3×3 grid. TouchWiz integration of social networks is included in the user interface. Samsung C3300K field of integration and applications also support Java. The C3300K Samsung has a 1000mAh battery pack, which gives a standby of 666 hours and 12 hours of talk time. A microSD card slot for cards up to 8 GB and a connector 3.5 mm audio complement the multimedia features of Campo. Samsung C3300K field lays the foundation for – Quad-band GSM / GPRS / EDGE, Bluetooth 2.1 and USB. It also has a 1.3MP camera that can also record videos at 15fps QCIF. Champ should be available in deep black, espresso brown, Sweet pink, Chic white. Samsung C3300K Champ will be launching in India by June and it is expected to priced at Rs.6,500. Tags: Samsung C3300K Champ , Samsung C3300K Champ review, Samsung C3300K Champ multimedia features, Samsung C3300K Champ features, Samsung C3300K Champ details, Samsung C3300K Champ specifications, Samsung C3300K Champ information, Samsung C3300K Champ images, Samsung C3300K Champ pics, Samsung C3300K Champ pictures, Samsung C3300K Champ hardware features, Samsung C3300K Champ software features, Samsung C3300K Champ application features, Samsung C3300K Champ availability, Samsung C3300K Champ price. Dell Studio XPS integrated with AMD technology equipped with six core processor has launched in Indian markets. This comes with a vision to take the desktop market in India all by itself. The XPS 7100 is thickly packed with all the necessary features aiming mainly for gamers, movie lovers, music lovers, social networking friendly peoples. Dell Studio XPS 7100 is equipped with1.5 tetra-byte hard disk at 7200RPM which makes the system faster with high amount of storage and also has Optical DVD+ RW super-multi drive integrated. The Dell XPS 7100 Studio is sound blaster X-Fi Xtreme audio, which will be smart enough to use modulations and pitching ability to make your audio or video sound really beautiful. On Dell XPS 7100 Studio, in-built graphic card of ATI Radeon HD 5870 with 1 GB GDDRS will handle games with ease and gives you more comfort of you are a serious gamer. It was inbuilt with 6 GB RAM . 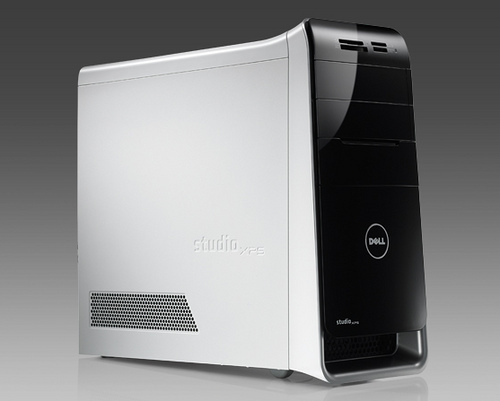 Dell Studio XPS is not only really affordable and offer durable multi-tasking with six core processor but also loaded with best high-end features so that user who are fond of playing games, watching movies and using graphical applications are very much interested with this. So for a conclusion this Dell desktop has immense potential to become most popular among desktops in India. Dell Studio 7100 XPS is measured at 16x7x18 inches & is weighed at 22.4 lbs it has silver color carbide design. Dell Studio7100 XPS is starting from Rs. 50,000 and higher version price range increases accordingly. The online retailers are lining up to offer this desktop on discounted rates at Rs. 48,000. Tags: Dell Studio XPS 7100, Dell Studio XPS 7100 review, Dell Studio XPS 7100 multimedia features, Dell Studio XPS 7100 features, Dell Studio XPS 7100 details, Dell Studio XPS 7100 specifications, Dell Studio XPS 7100 information, Dell Studio XPS 7100 images, Dell Studio XPS 7100 pics, Dell Studio XPS 7100 pictures, Dell Studio XPS 7100 hardware features, Dell Studio XPS 7100 software features, Dell Studio XPS 7100 application features, Dell Studio XPS 7100 availability, Dell Studio XPS 7100 price. The Nokia X3 is an S40 entry-level slider with a 2.2” QVGA display, dedicated music keys, FM radio, MicroSD card support, 3.5mm headset jack, stereo FM radio, 3.2MP fixed-focus camera, and MicroSD card support. The X3 might be among the first Nokia phones to be launched in India with Ovi Music Unlimited (ex Comes With Music). The X3 will retail for about 7,500 INR or $165. 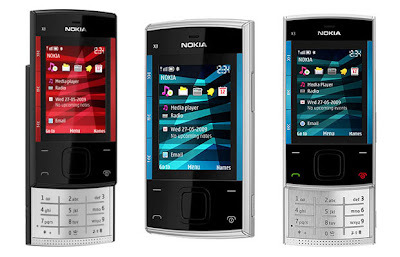 The Nokia E52 is a Symbian Eseries smartphone that will succeed the Nokia E51. It features a 2.4” QVGA display, WiFi, GPS, 3.2MP camera with flash, a video wall camera, Nokia Maps with free navigation, 3.5mm headset jack and MicroSD card support. 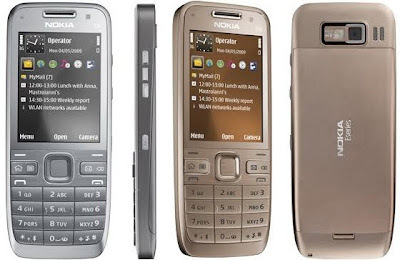 The Nokia E52 will cost 13,000 INR or about $287. Tags: Nokia X3 , Nokia X3 review, Nokia X3 multimedia features, Nokia X3 features, Nokia X3 details, Nokia X3 specifications, Nokia X3 information, Nokia X3 images, Nokia X3 pics, Nokia X3 pictures, Nokia X3 hardware features, Nokia X3 software features, Nokia X3 application features, Nokia X3 availability, Nokia X3 price,Nokia E52 , Nokia E52 review, Nokia E52 multimedia features, Nokia E52 features, Nokia E52 details, Nokia E52 specifications, Nokia E52 information, Nokia E52 images, Nokia E52 pics, Nokia E52 pictures, Nokia E52 hardware features, Nokia E52 software features, Nokia E52 application features, Nokia E52 availability, Nokia E52 price. Tags:CBSE TWELVETH results, CBSE TWELVETH,2010 CBSE TWELVETH results,2010 CBSE TWELVETH, CBSE TWELVETH results 2010 , CBSE results 2010, Candidate wise CBSE TWELVETH RESULTS 2010, school wise CBSE TWELVETH results, school wise CBSE TWELVETH RESULTS, 2010 CBSE results,2010 CBSE results, CBSE results 2010 ,CBSE results 2010, Candidate wise CBSE results 2010, school wise CBSE results, school wise CBSE results, CBSE PLUS TWO results, PLUS TWO results,2010 CBSE PLUS TWO results,2010 PLUS TWO results,CBSE PLUS TWO results 2010 ,PLUS TWO results 2010, Candidate wise PLUS TWO results 2010, school wise PLUS TWO results, school wise PLUS TWO results CBSE. Fly mobile launched the Booom MC105 with 30 x 40 mm speakers at the back. Fly Booom MC105 is a Bar styled dual SIM (GSM + GSM) mobile phone with 176 x 220 pixels 5.1 cm TFT Display. This phone is mainly intended for youths who loves musicsound in the first place. The Fly Booom has a 3.5 mm universal audio jack, FM radio with schedule recording, 5 different FM alarms,FM Radio with schedule recording, dedicated volume control keys and an audio player that displays album cover, background and lyrics.It has an integrated VGA camera, image viewer and different photo effects. It also has a 3GP/AVI video player and can record video in AVI format.It is said that up to 15 FM channels could be saved on it with their specified channel names. The Fly Booom MC105 has a 2 GB memory card that comes pre-loaded with entertaining Bollywood contentwith 50 Audio Songs, 10 Video Songs and 10 Wallpapers, 4 GB expandable memory and Bluetooth capability,class 12 GPRS, Speaker Phone, password protection, call black listing, SMS filter, one touch access to different features through navigation keys, LED torch and GPRS. 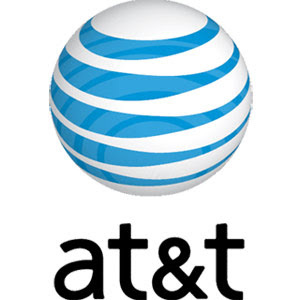 Another notable aspect is the modem within the phone could be connected to a PC that’s Bluetooth-enabled for dial up and Internet surfing activities. With 0.5 MB internal memory, phone is capable of storing 1000 phonebook entries with Photo Call ID and for memory expansion it has microSD expandable memory card slot. The special features include Torch, Private Protection, Mobile Tracker, Inbuilt Audio Amplifier, Scheduled SMS, Indian Calendar, Contacts and SMS Backup, Call Reject SMS, Security Keygaurd, Self-Help. Besides this, Fly Booom (MC105) sends a pre-specified SMS whenever you reject a call. It is reported that, in case you are in danger or being stalked by someone, you just have to long press the right shift key and an SMS is instantly sent to a pre-selected number. Once the SMS receiver calls back, the call is picked up automatically such that your friend or family member could help you instantly. The Fly Boom comes with a USB-chargeable 1200 mAH battery for significant music time or 8 hours of talk time. The handset is available in the market at a price tag of Rs 3649. Tags: Fly Booom MC105 , Fly Booom MC105 review, Fly Booom MC105 multimedia features, Fly Booom MC105 features, Fly Booom MC105 details, Fly Booom MC105 specifications, Fly Booom MC105 information, Fly Booom MC105 images, Fly Booom MC105 pics, Fly Booom MC105 pictures, Fly Booom MC105 hardware features, Fly Booom MC105 software features, Fly Booom MC105 application features, Fly Booom MC105 availability, Fly Booom MC105 price. Pioneer Computers an Australian company just announced their new smartbook based ARM VIA processor, the new smartbook namely DreamBook Lite E10. This shockproof device packs a 10.1-inch display with resolution of 1024×600 pixels. 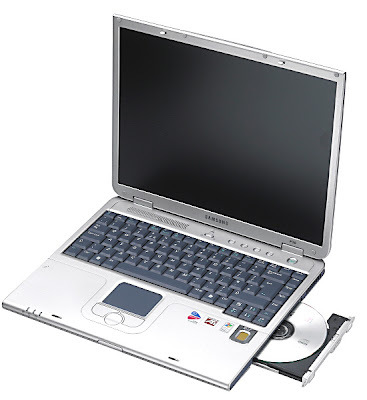 Pioneer Computers DreamBook Lite E10 is powered by up to 533 MHz ARM VIA 8505 processor, 128MB RAM, 2GB/4GB of integrated memory, a SD memory card slotcan be upgradable up to 16 GB, 0.3-megapixel webcam, RJ45 LAN port, Wi-Fi 802.11b/g, stereo speakers, microphone, touchpad, three USB port, and optional 3G module. The DreamBook Lite E10 Smartbook is running on Windows CE 6.0 or Android OS.It has 1800 mAh battery with up to three hours of use. Dimensions of DreamBook Lite E10 are 565×260x440 mm and weight 580g. Pioneer Computers DreamBook Lite E10 is offered for price $199 and is available now. Tags: DreamBook Lite E10 Smartbook, DreamBook Lite E10 Smartbook review, DreamBook Lite E10 Smartbook multimedia features, DreamBook Lite E10 Smartbook features, DreamBook Lite E10 Smartbook details, DreamBook Lite E10 Smartbook specifications, DreamBook Lite E10 Smartbook information, DreamBook Lite E10 Smartbook images, DreamBook Lite E10 Smartbook pics, DreamBook Lite E10 Smartbook pictures, DreamBook Lite E10 Smartbook hardware features, DreamBook Lite E10 Smartbook software features, DreamBook Lite E10 Smartbook application features, DreamBook Lite E10 Smartbook availability, DreamBook Lite E10 Smartbook price. Dell today unveiled Studio XPS 7100 desktop which it said is designed for busy multi-taskers who demand their technology keeps pace with their up- tempo lives. As per Dell Marketing Manager The Studio XPS 7100 desktop with AMD Vision technology are feature-packed, yet budget-friendly. They're perfect for listening to music, streaming video and gaming, while connecting with friends and family via social networking sites and blogs. The desktop PC, is strengthened by Advanced Micro Devices' new six-core processor and it delivers a seamless intersection of social networking, entertainment and multimedia creation, the company said in a statement. 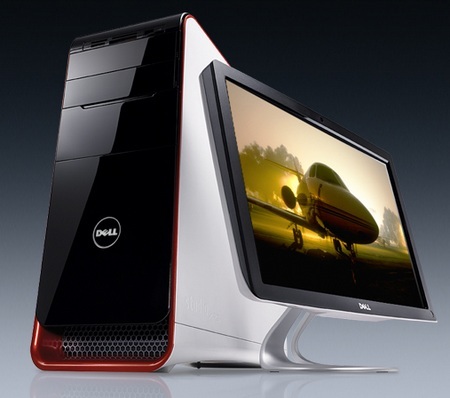 Dell has apparently started shipping the Studio XPS 7100, a high end desktop based on AMD's 1035T six-core. Besides the 1035T, the XPS 7100 computer may be customized to use a number of quad-core and six-core models from Athlon II X4 630 to Phenom II X6 1055T. Motherboard in this computer utilizes AMD RS785 chipset with SB710 South Bridge. The system comes with integrated ATI Radeon HD4200 graphics, but it's also possible to improve system performance by adding one of a few different Radeon HD 5xxx 1GB video cards. The starting price of the Dell Studio XPS 7100 is $499 for Athlon II X4 630 processor and without extra video card, and $699 for Phenom II X6 1035T CPU with ATI HD5450 1 GB video card. The 2.6GHz Phenom II X6 1035T was not supposed to appear until the third quarter. Tags: Dell Studio XPS 7100 , Dell Studio XPS 7100 review, Dell Studio XPS 7100 features, Dell Studio XPS 7100 details, Dell Studio XPS 7100 specifications, Dell Studio XPS 7100 information, Dell Studio XPS 7100 images, Dell Studio XPS 7100 pics, Dell Studio XPS 7100 pictures, Dell Studio XPS 7100 hardware features, Dell Studio XPS 7100 application features, Dell Studio XPS 7100 availability, Dell Studio XPS 7100 price. The HTC Wildfire is an Android 2.1 device which feels nice in the hand, not too small but compact enough to be more pocket friendly than the Desire, using the same slightly pronounced chin.It will be Sense skinned, social-powered and will pack brand-new app sharing widget for posting your impressions on mobile applications via Twitter, SMS or email.Overall it is a socially connected Android smartphone. The Wildfire features a Qualcomm MSM7225 525MHz processor with 512MB flash memory and 384MB of RAM a 3.2-inch QVGA capacitive display, 512MB ROM, 5 megapixel camera with LED flash & auto focus, Wi-Fi b/g, GPS/AGPS, 3G with HSDPA support, Bluetooth 2.1+EDR, 3.5mm audio jack and microSD card slot. The device is a Sense UI equipped handset that screams HTC from a design perspective. The home, menu, back and search buttons are all touch sensitive and the same optical trackpad we saw on the HTC Droid Incredible found its way onto this new device. Wildfire is expected to release in Europe and Asia early in Q3 2010. It will be available in four different colors for 300 euro. 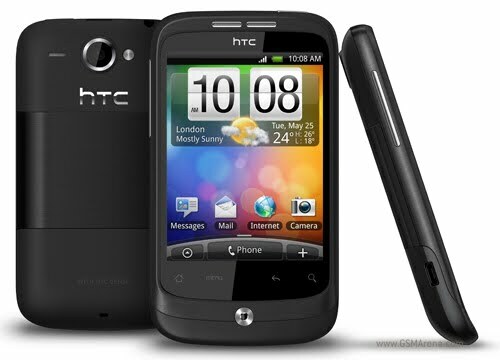 Tags: HTC Wildfire, HTC Wildfire review, HTC Wildfire multimedia features, HTC Wildfire features, HTC Wildfire details, HTC Wildfire specifications, HTC Wildfire information, HTC Wildfire images, HTC Wildfire pics, HTC Wildfire pictures, HTC Wildfire hardware features, HTC Wildfire software features, HTC Wildfire application features, HTC Wildfire availability, HTC Wildfire price.